It seems that more often than not we have to mourn the death of a hero. Our nation stands for freedom and grants the opportunity of choice. Unfortunately, violence is a reality that we all live with on a daily basis in our communities and we can’t help but notice the situation becoming ever more unstable. We are eternally grateful for those police officers who are willing to stand up and protect others. In order to maintain justice and safety for American citizens, these brave men and women put their lives on the line every day to do just that. 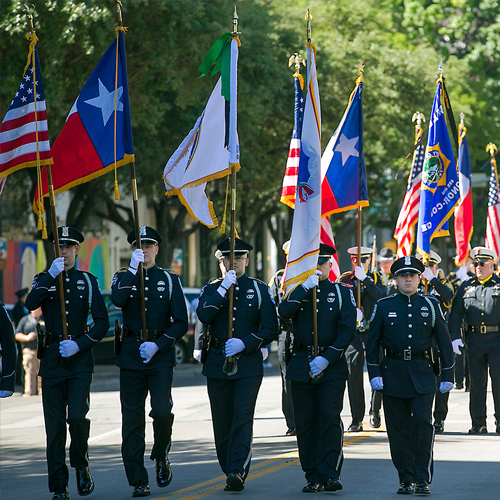 In the great state of Texas, we would like to honor those who have lost their lives this past year and dedicate this 2016 Texas Fallen Officers Interactive Timeline sponsored by Austin Personal Injury Attorney Joe Lopez.